Dr Who budget is Peanuts? 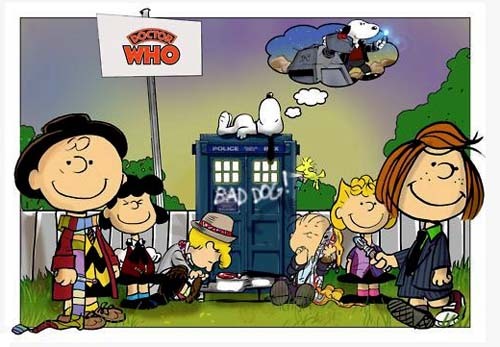 Here’s one of those silly pictures doing the rounds by e-mail – the Peanuts cartoon’s crew re-imagined as Doctor Who and his assistants. I couldn’t see any artist attribution on the painting, but then, that may be deliberate. If anyone can enlighten me as to the creator of this fine, funny piece, let me know and I’ll add in the link. Love it! I’d love it more if it was Star Trek insted of drWho.